Great interaction with whale shark. One whale shark swim on surface almost 2 hours. 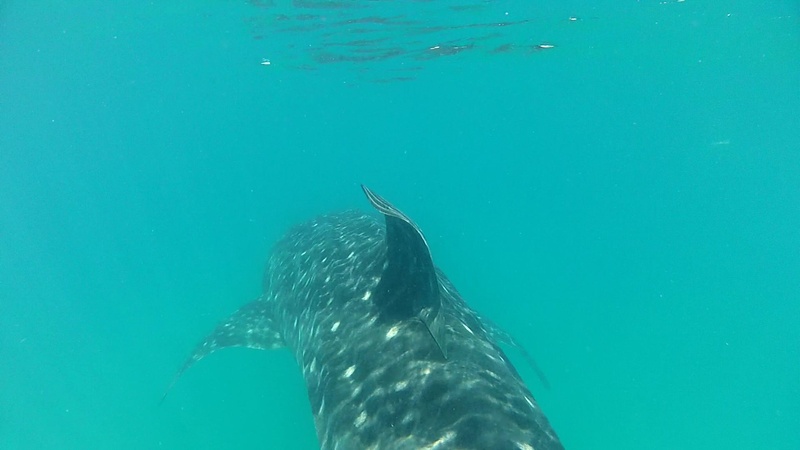 Our guest saw and swam with two different whale shark. And visibility is good .